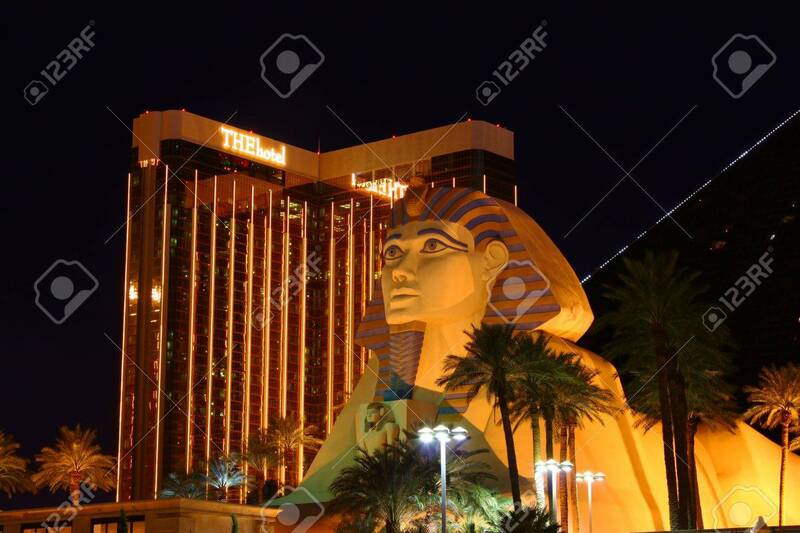 Las Vegas, USA - October 29, 2011: Luxor Las Vegas Has An Egyptian.. Stock Photo, Picture And Royalty Free Image. Image 13887794. Stock Photo - Las Vegas, USA - October 29, 2011: Luxor Las Vegas has an Egyptian theme and a large replica of the Great Sphinx of Giza seen in the foreground. Behind is The Hotel tower of the Mandalay Bay Resort and Casino which opened in 1999. Las Vegas, USA - October 29, 2011: Luxor Las Vegas has an Egyptian theme and a large replica of the Great Sphinx of Giza seen in the foreground. Behind is The Hotel tower of the Mandalay Bay Resort and Casino which opened in 1999.